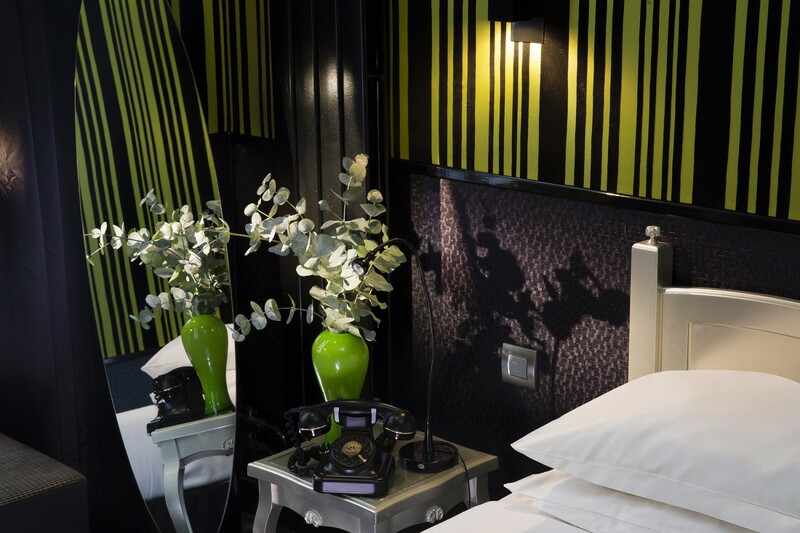 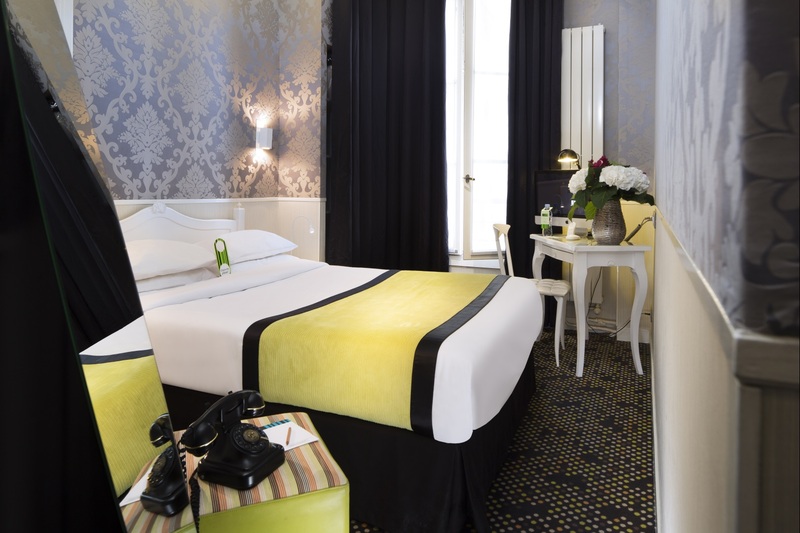 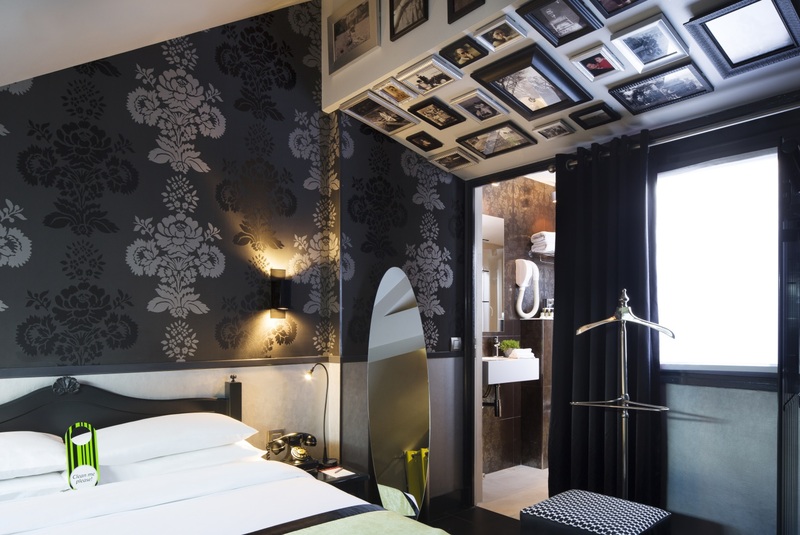 Situated opposite the Sorbonne University, seconds away from boulevard Saint-Michel and the Luxembourg Garden, the Hotel Design Sorbonne awaits you in the heart of a neighbourhood as lively as it is historical! 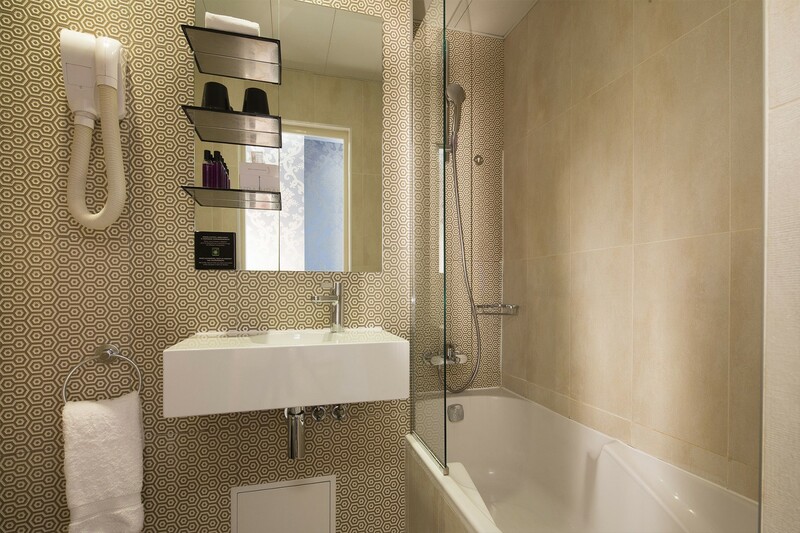 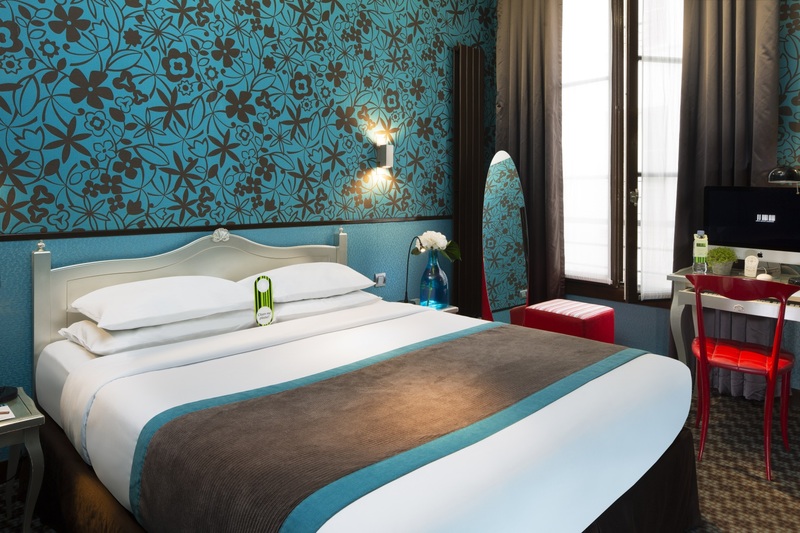 The rooms of the Hotel Design Sorbonne have high-quality interior design with vibrant colours, thick carpets with geometric patterns and contemporary fabrics giving a warm, hi-tech feel. 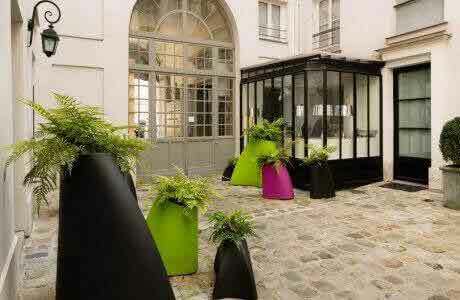 You can choose a view of either the charming paved courtyard or magnificent Sorbonne University. 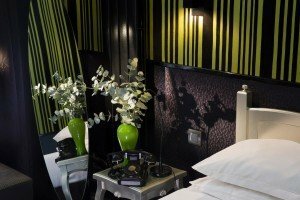 Each room has an iMac or Mac Mini computer for surfing the web and watching TV, as well as a free, high-quality Wi-Fi connection. 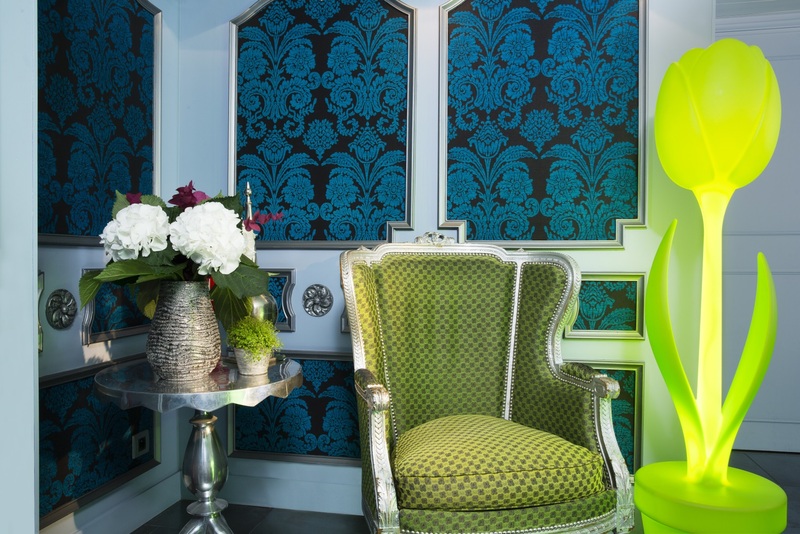 Our designer look also means access to the latest technology! 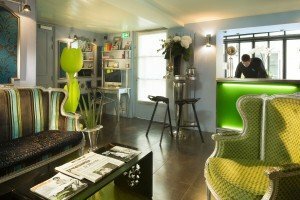 Served in the hotel’s welcoming salon from 7.30-10.30am, breakfast is a generous buffet with fresh produce of the highest quality. 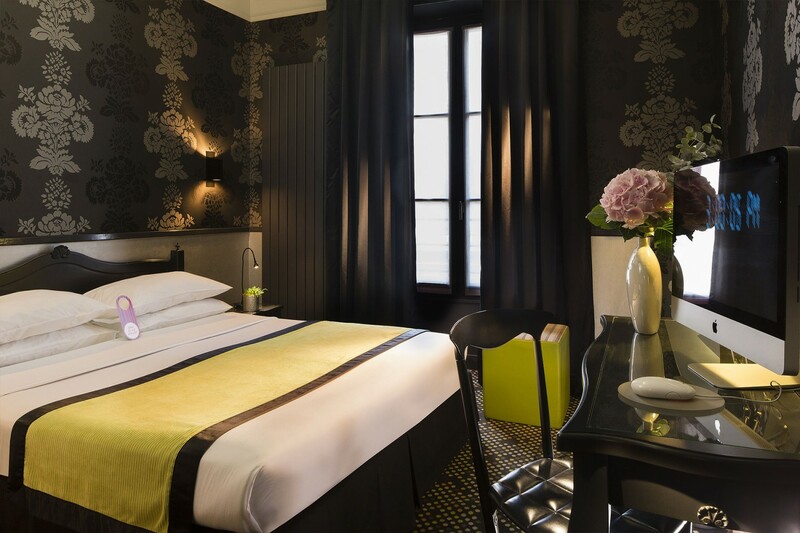 You’ll find a selection of sliced meats from the Pyrenees region, farm-produced cheeses from the Basque Country, and everything you need to concoct your own omelette or fresh scrambled eggs. If you prefer a sweeter breakfast, there’s cereal, yoghurt and dried fruit, crepes and croissants, toast and fresh bread, as well as delicious home-cooked cake with a different taste every day! 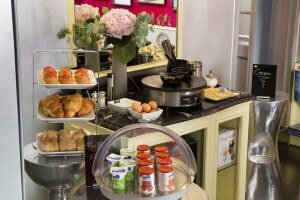 You can also order fresh fruit juice or a hard-boiled egg cooked to order, and enjoy our selection of excellent traditional jams. Discover the pictures and virtual visits of the Hotel Design Sorbonne.